Joel A. Rose is a Certified Management Consultant and President of Joel A. Rose & Associates, Inc., management consultants to the legal profession. The firm, national in scope, is headquartered in Cherry Hill, New Jersey. Mr. Rose received a B.S. from New York University and an M.B.A. from the Wharton Graduate School of Business, University of Pennsylvania. He has extensive experience consulting with private law firms and government agencies. Mr. Rose performs and directs consulting assignments in law firm management and organization, strategic and financial planning, lawyer compensation, the feasibility of mergers and acquisitions and marketing of legal services. He has extensive experience planning and conducting retreats and special expertise resolving problems among and between lawyers. Mr. Rose's articles on law office management and economics appear in the Philadelphia Legal Intelligencer, the Pennsylvania Law Weekly, the New Jersey Law Journal, The Texas Lawyer, publications of the Association of Legal Administrators and other state and local bar association journals. He is the principle contributor to "Thrive," the blog of the Law Practice Management Committee of the New York State Bar Association. Mr. Rose is a contributing author of the book, Model Partnership Agreements for New York Law Firms, published by the New York State Bar Association, and author of chapters in the monographs, "The Quality Pursuit, Assuring Standards in the Practice of Law", and "The Professional Managers in the Law Office", both published by the American Bar Association. Mr. Rose is on the Board of Editors of Accounting and Financial Planning for Law Firms and Law Firm Partnership and Benefits Report. Mr. Rose is a member of the Law Practice Committee of the American Bar Association. He frequently presents tele-seminars and webinars for the New York State Bar Association, The New Jersey Institute of Continuing Legal Education and national and international Law Firm Networks. 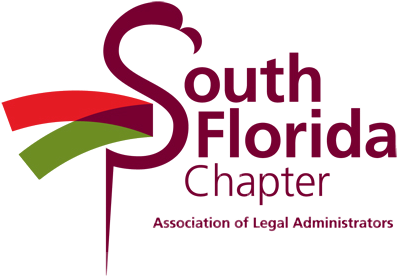 Mr. Rose speaks at national, state and city bar association meetings and at chapter meetings of the Association of Legal Administrators. He is a member of the Law Practice Management Committee of the New York State Bar Association, an associate member of the American Bar Association and a Fellow in the College of Law Practice Management. Mr. Rose is listed in Who’s Who in America.